Washington:A US Senator has said that it was time to use constitutional powers to remove President Donald Trump from office if top officials thought he was unfit for the job. “If senior administration officials think the President of the US is not able to do his job, then they should invoke the 25th Amendment,” Massachusetts Senator Elizabeth Warren told CNN on Thursday. 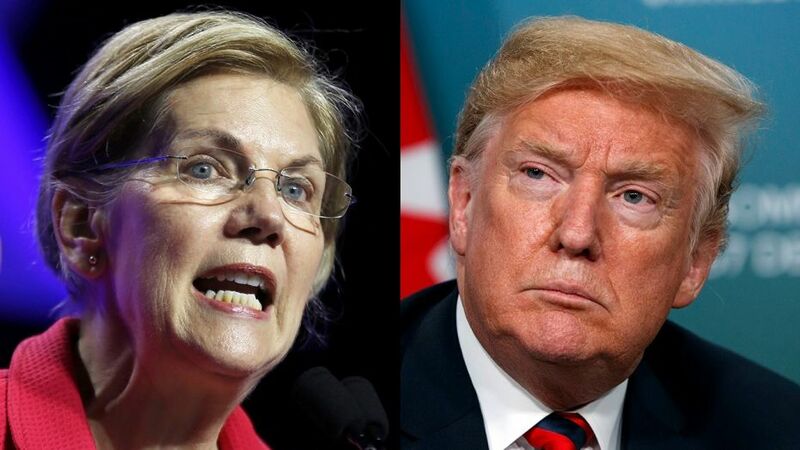 The hard-charging comments by Warren, a potential 2020 Democrat presidential candidate, comes in the wake of a shocking New York Times opinion piece where an anonymous official raises deep concerns about Trump and contends that there were some initial conversations to invoke the 25th Amendment to remove the President from office. The White House has aggressively slammed the piece, calling the author a traitor and a coward. Warren is viewed as a likely presidential candidate against Trump, who rarely holds back when criticising Warren, derisively calling her “Pocahontas” because she had claimed a Native American heritage during her career as a law professor.